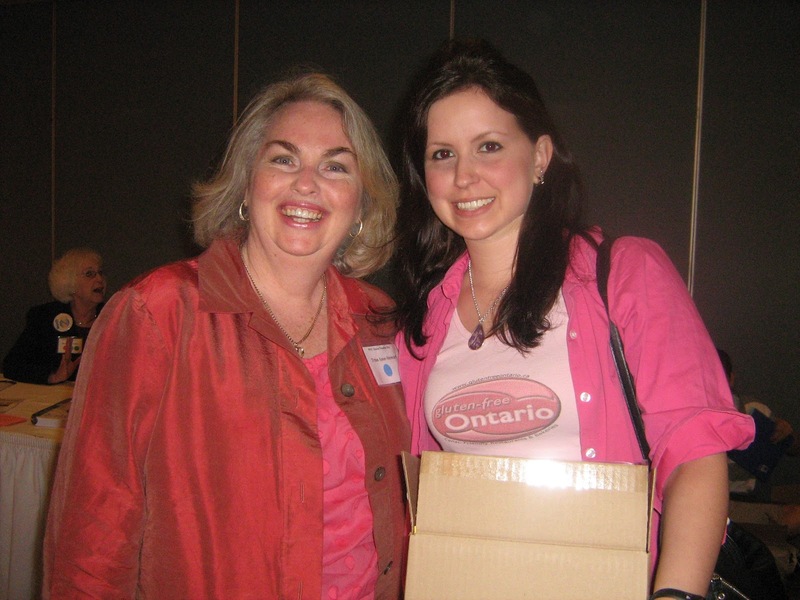 GF Ontario Blog: NEW! Astoria Mills Review, Pictures and Giveaway! As many of you know by now I really like food. And I don't think being gluten-free should stop me from enjoying all of life's yummy pleasures. I feel priveleged. 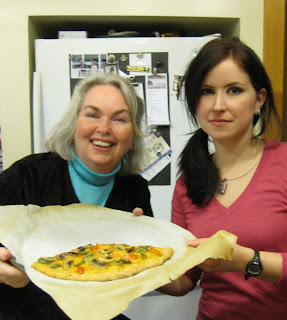 Trina of Astoria Mills came to MY kitchen for a whole day of baking! Trina has created a fantastic baking system, comprised of 6 mixes that can make just about anything your heart desires. Don't believe me? Check out the new Astoria Mills website to see what each mix makes, plus you can order online, too. The mixes do contain corn, which is non-GMO. They do process soy, but chances of contamination are low with the pharmaceutical grade blending process. The manufacturing facility is dedicated gluten-free. Astoria Mills mixes are tested regularly and certified to contain less than 5ppm of gluten, which is the lowest detectable amount. Bonus - the mixes are also fortified and contain lots of nutrients to keep you in good health! I got to meet Trina when I was in Buffalo back in September for Gluten Freedom Day and we have formed a friendship and kept in touch since. I was really excited to get started... and immediately asked if we could make croissants and donuts, two of the gluteny items that I have missed and just haven't found suitable substitutes for yet. Trina told me yes, when you purchase the mixes you get a free online e-cookbook with hundreds of recipes that use the baking system, including my coveted croissants and donuts! mmm so let's get started! So much baking in one day! I'm not sure how she does it! Donuts - like Tim Bits! Everything turned out amazing and it was really easy to follow the instructions in the e-cookbook. Tell me about your gluten-free journey. This contest is open to Ontario residents only! 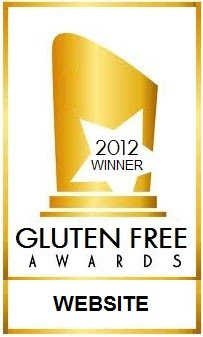 (This is Gluten-Free Ontario, after all) The winner will be chosen by Trina of Astoria Mills and I will post the winner's name by Wednesday, February 22, 2012 on Facebook, Twitter and on this page. I've been GF for 6 years now. It took me 10 years, thousands of dollars and multiple trips to various health care providers to determine that my really bad eczema was caused by gluten. At first, like most people, I was depressed by all the foods I was going to have to eliminate. However, this turned out to be a blessing, because I have learned to be a great cook and am on my way to being a great baker. I love foods of all nationalities, and so slowly, dish-by-dish, I learned how to make GF versions of all my favourites. I've been playing around a lot this winter with baking, so I would love to be the winner of this prize pack....you can rest assured of all it will be used to make tasty treats for me and my hubby. (who just went GF this month, so he is still in a bit of a shocked state, this would definitely help me help him! LOL) Thanks so much! I've been GF now for 6 years. It took me ten years, thousands of dollars and many, many trips to various health care providers to discover that my extreme eczema was caused by gluten. Like most people I was pretty upset at first with all the foods I was going to have to give up; however over time I realize this was a blessing as it has allowed me to become an excellent cook! And now I am on my way to becoming a good baker too.....you can rest assured that all the products in this prize pack will be used and enjoyed! My hubby just went GF this month and he's still in a bit of a shocked state about what he can and can't eat, so having these tasty mixes in the house will help him too! So please pick me for this prize pack! Thanks! Our gluten free journey started with my then 4 year old son. Since he was 6 months old he had many digestive issues. He does have a genetic syndrome that was the answer for many years giving us the "it's part of his syndrome". After meeting a mom with a daughter the same age as my son we started comparing notes of symptoms. I asked my son's pediatricin about Celiac Disease. Tests came back confirming that yes he has a gluten intolerance and that began our gluten free journey. After meeting with a naturopath she recommended him being gluten and dairy free....that changed my son in ways nobody can understand. My son is now 6 and doing very well with his gluten and dairy free living. He knows what he can and can't have and he's becoming a very good advocate for himself. My daughter story isn't the same but because of my son's story it gave us the clues. She had been complaining of pain after eating. She had a history of reflux from when she was a baby. The reflux meds still seemed not to work. So September 2011 testing for her we discovered gluten sensitives in her. Both the kids are now gluten free and my son dairy free. Finding food and replacing food for my son doesn't seem to bother him. My daughter being 9 and just recently becoming gluten free it's been tougher on her. It has become fun for mom and daughter time look for and trying new recipes. She is excited about trying to make pasta!! then we can make our own shapes. In short, I thought I was allergic to beer because of the pain and bloating it caused. Then with some proper eating, I narrowed it down and basically told the doctor my thoughts. Voila! Still haven't attempted donuts yet but I am dying to make a creme-filled long john donut!! Those look delish!!!! I was diagnosed 10 years ago. My mom was diagnosed a few years prior so I already had a good idea of what my future held. Boy has the selection of GF food come a long way since then! Awareness as well. Although I am happy a lot of people know a little bit about Celiac Disease, I still feel there is a long way to go in regards to accurate education and understanding. My gluten free mantra is, if I can't find it pre-made, I make it myself. Sometimes this works out great and other times not so much. I look at this as a learning experience, not a downfall. It inspires me to create healthy food that anyone would want to eat. I have been Gluten free for over 2 years. I needed to lose weight and was trying a low carb diet when by accident I found out I was Gluten-Intolerant. My stomach pains (IBS) went away, my migraines subsided and my asthma improved. My family has been very supportive of this and try very hard to accommodate me. My favourite meals out are Riz on Bayview and Live on Dupont. My favourite meals in are anything italian (love my gluten free Lasagna). My favourite products are usually the ones I make myself - like my black bean brownies, so I am looking forward to trying Astoria Mills. A few weeks ago someone introduced me to Gluten-Free Ontario. I am soooo happy! The information that Jax provides is soooo helpful. The product reviews are the best. I had been suffering increasing random symptoms for about 2 years. Then I overheard a conversation about gluten intolerance at a Knit In Public event back in June. And I sat there, thinking, Yup, got that; got that; got that... And so decided to go gluten-free for 2 weeks, because what did I have to lose? Well, after 3 days, all of my symptoms had gone, or were reduced/manageable, and I was convinced! That was about 8 months ago. I've had quite a few slip-ups as I learn about being GFree, and every one convinces me more that I'm intolerant. We eat Rice Bowls (from the Fresh for Life book) fairly regularly, and a lot of Polenta with Mushrooms and Greens. My name is Chanel and I have been Gluten-FREE for 4.5 years. After years of always being tired and having pain in my stomach and my left side I decided to cut out Gluten to see if it was the culprit. Once Gluten was no longer part of my diet I started my journey to feeling better. In the beginning it was really hard, finding products that didn't fall apart and that tasted decent was next to impossible. For the first year I ate very little (out of fear) and ate the same thing for lunch and dinner every day - I literally knew what it felt like to starve. 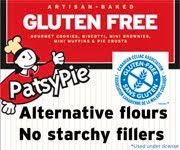 4.5 years later there has been a huge change in the availability and quality of Gluten-Free products. 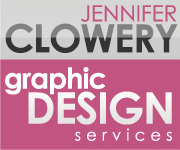 I was able to help myself and found a passion for food and an interest in helping others. I am now studying to be a Holistic Nutritionist (will be graduating soon) and hope to spend my life helping others feel better and find great tasting, allergy-free food. What a difference! I don't really have a "favourite" meal anymore but this year we've started eating more crock pot meals. It's quick and easy and with Campbell's coming out with more gluten free soups that definitely helps. I've been gluten free for just over 2 years now. I figured out that I have Celiac disease in late 2008/early 2009 when I started the Atkins diet to try and lose some weight that just wouldn't go away no matter what else I did. I kept trying to lose weight by "conventional wisdom" of eating whole grains and low fat and smaller portions. All that got me was hungry and sadly, even fatter! So I tried Atkins, lucky for me, the first phases are grain free, and I could not believe just how awesome I felt after just a couple of days. I could even go to the bathroom regularly! A couple of members on the Atkins forum suggested I may have Celiac, so after a few allergy tests to rule that out, I did the very painful gluten challenge, had the blood tests, had the endoscopy, and results were very definitely Celiac. My facebook name is Ursula Pasche Stouffer. I grew up in Germany, and now know I had symptoms of Celiac Disease from the age of three. Unfortunately, doctors in Germany, and here in Canada never put two and two together, and looked at single symptoms rather than the whole picture. Seven years ago, when I was 52, I was terribly ill for six months, with everything I ate going right through me within minutes. My doctor tested for everything except Celiac Disease, and all tests were negative. Until one day, when I was doubled over with cramps within minutes after eating some rye bread, I remembered what a cousin had told me about her Celiac daughter, and a light bulb went on in my head. I looked up Celiac Disease online, and realized I had at least 95% of the possible symptoms! I went gluten free that day, and had a dramatic improvement by the next day, and was off the codeine I took 24 hours a day for fibromyalgia within two weeks. When I told my doctor that I had Celiac Disease, she said that she thought I had all the symptoms, but didn't think it was possible, because I was gaining weight instead of losing! I gave her a lesson on the fact that nearly 50% of people with Celiac Disease have unexplained weight gain, rather than weight loss. And that weight gain is one of the possible symptoms of malnutrition. All she had to say was, that she hadn't learned that in medical school! Since she is about my age, when was that, thirty years ago? And she hasn't learned anything new since? I've been strictly gf ever since, and not only that, but now my four daughters and their children are all gf as well, as they all obviously are gluten intolerant, too. 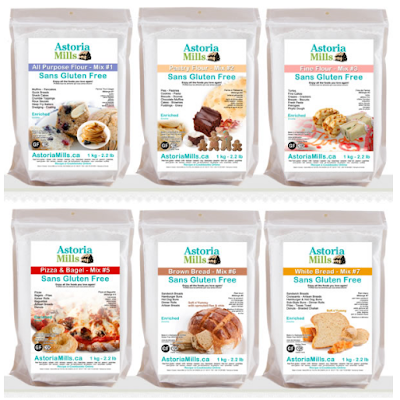 I have never even heard of Astoria Mills, but those mixes look absolutely fabulous! I very much hope that our stores here will start carrying them. In fact, I'll make sure they know they exist. This far some of my favourite products are Glutino cake mixes, El Peto gourmet bread (some of their breads are horrible, though) and Blue Diamond Pecan Nut Thins, as well as Mary's Crackers. Most of the time I make things from scratch, as there aren't enough good mixes I can buy around here. I have been thinking of trying to make doughnuts for a while now, but have been a coward about it, as often, when trying something new, the first batches are awful, until I finetune things. Those doughnuts and croissants you made look absolutely delicious! I would love to try them, and would be absolutely thrilled if I would win these mixes. Thank you for this nice opportunity to discover Astoria Mills' new products! I am aware of Trina's amazing story and applaud her for her years of hard work in developing and producing many great Gluten-Free mixes which have led to so many of us benefitting in numerous ways. (with whom she has developed a professional bond in understanding food allergies and sensitivities) that I ventured into the Gluten-Free Zone of living with less pain, bloating, and several other discomforts caused by wheat and several other whole grains containing Gluten. Had it not been for them both sharing many of their medical learnings with me, my persistent desire to be well and pain-free again, and following their directions, I would probably be still walking with a cane and barely able to move most days, and many ponds heavier! Nowadays, people do not see me as ill, I am well on the road to regaining much of my life, and I am always learning and improving not just my own health but also that of my husband and friends through eating Gluten-Free! Food preparation is more interesting now and I have learned to appreciate all food in a totally different manner. I understand the chemical interactions more, the expected results, and their impacts on the gut and the rest of the body. Everything I make or bake is Gluten-Free and is organically grown and as fresh as possible. Sometimes when I need to prepare something very quickly, like bread or a Pizza crust, for example, I have enjoyed using one of the Astoria Mills blends the most because the ingredients are very good, dependable, and they are made locally ( in the next community to which I live; it is that local!) and it is not imported from the U.S.A. or elsewhere! I have tried all the brands available in our stores on an experimental basis but because of my values I will not use many of them. Out of my own interest I am also developing my own G-F flour blends for making a large variety of sweet and savoury baked treats, sauces, and gravies and I have shared them with many friends and even a couple of chefs who were extremely interested in G-F baking and food preparation!. Since I have not tackled donuts yet, the picture in your blog caught my eye! LOL! When I do discover a great Gluten-Free product, book, or recipe, I am quick to highly recommend it to my friends and health professionals so that they can in turn help others quickly. So, if I were to win this set of products, use them and share my newfound knowledge, I think many others would also be winning the battle against Gluten in their diets because I would share what I know about them through trying them and therefore be promoting the brand. I was diagnosed with fibromylagia in 2007. After trying most of the medications out there (most of which just made me feel worse), a book by written by Dr. David Dryland steered me towards the notion of a GF diet. I have been trying hard to maintain it, but in our rural village, that's tough. We have one local bakery that offers amazing GF goods (Wilson Bakery) but that's about it. 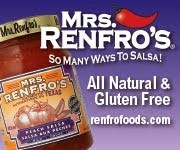 I joined your site to learn more about how to manage a GF diet and where to find and buy GF products. Because I don't have the traditional GI symptoms of Celiac, I have been struggling to convince a physician to order the blood tests. Recently, I began to develop significant balance problems and when I researched the gluten connection, discovered that about 20% of people with gluten sensitivity present with ataxia, especially those who present in mid-life (I am 51 yrs old). I am now awaiting an MRI, which I hope will give me some answers, but I fully expect to find that gluten is at the root of the problem. I love to bake and this has been one of the biggest challenges of my GF journey. I work full time, so spending a lot of time in the kitchen isn't an option. I would love to find some quality GF baking mixes that my kids would actually eat ! Right now I'm 49. It took a long time to figure out that I am celiac. About 12 years ago or so, I tried to give blood as I had done for years and was told my iron was too low. My GP pursued the reasons and through a scope found that I had H Pylori. We figured that and the inflammation in my duodenum (I think it was) had perhaps caused a slow bleed, resulting in my iron loss. On iron supplements, things improved... for about a month. Then I discovered I had multiple abdominal hernias, probably from pregnancy. We then figured the iron lose might be from those. Surgery followed, improvement for about a month, once more. Two and a half years ago, the fatigue was at its worst. I was also getting dizzy. For years I'd had tingling in my legs. And I was getting more migraine auras and weird visual phenomena. As the symptoms mounted, I began to worry that I had MS. My doctor sent me to a neurologist who ordered an MRI and told me I had white spots on my brain. (Gulp!) He put those down to my migraine auras and ordered a follow-up MRI. Then I began losing weight. I'd always been thin, but I was eating anything and everything and STILL losing weight. I started noticing (sorry for the TMI) a sort of "oil slick" in my toilet. Finally, my GP sent me to a gastroenterologist who took one look at me and said, "You look celiac to me.) Blood test, scope and diagnosis followed quickly. At the time, I thought, my celiac must have been triggered by my last pregnancy since my low iron began shortly after that time. Now, having read about some people's "celiac shock" experiences, I recall having those as earl as age 25, so I'm really not sure when it all began. So, I've been gluten-free for about 18 months. The change in the first six months was dramatic, but I've levelled off somewhere shy of how healthy I'd like to be. In the meantime, the follow-up MRU showed one less white spot on my brain. Good news, right? Wrong! Neuro believes that this is a result of a stroke! Please. He wants me to go on cholesterol medication, minimize red meat and dairy. Personally, I believe the improvement is due to the GF diet, but he refuses to acknowledge that as a possibility. I'm trying to heed to dietary advice, but it's hard when you believe you may also need more B12. And that is the saga! Life is definitely better. I'm just wishing to be the motivated, creative person I used to be. Fingers crossed that I'll find her again soon. When I was 20, I started to get very sick. The doctor that I went to see told me I had Crohn's Disease. He only said this since my brother had been diagnosed with Crohn's a few years before. Even with medication, I was still very sick and losing weight so fast that I was pretty much starving myself since I could not eat. I changed doctor's and was giving the diagnoses of Crohn's Disease and placed on steroids. Over the last number of years I have been on and off steroids to help my Crohn's, but nothing was really helping me. In 2007, I had my second daughter and once again became very ill. No matter what the doctor gave me, I was sick all the time. Try teaching and having to run to the bathroom! Or having such bad stomach pain that you can't go anywhere. That is what my life had become. After my oldest started school, I was talking to one of the other parents. She also had Crohn's Disease, but had been gluten free for a number of years and had been feeling great. After listening to her I began doing research on gluten. 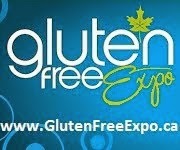 I was amazed to find out most of my symptoms were related to gluten intolerance or even Celiac. Nearly two years ago I became gluten free and all my symptoms from the Crohn's have gone. 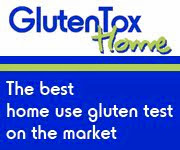 I did do the Celiac testing, but I had been gluten free for too long for a positive result. My doctor said that even though the test was negative it did not mean I did not have an intolerance. Over the last two years I have gained my life back. I can do things with my kids, go out and not worry about where the nearest washroom is and even take vacations! I also can't believe all the wonderful people I have met who have similar stories. Being gluten free has saved my life! I will never go back. My name is Melissa Poole, when I was 15 I started having terrible heartburn, my mom even had to take me to the emergency room, so my doctor prescribed antacids, they helped a little bit, so she told me no spicy food, no alchohol no pop, just stick to bland food. This didnt help much, "it's just stress". I suffered this way for the next 8 years, taking many tests and different drugs. I was exhibiting signs of malnutrition, and my (new) doctor was worried about chrons disease, so he booked a colonoscopy for me. My dad's friend has had celiac disease for years, and all 3 of his children have it, he suggested I get tested. so at the age of 23 I was booked for a colonoscopy and an endoscopy, the nurses were all surprised to see someone so young in for these tests. Afterwards I began a gluten free diet immediately, and felt better already when the Dr confirmed that I do indeed have celiac disease. It was a struggle at first, I couldn't go out with friends or drink beer anymore, but not suffering every day made it worthwhile. I taught myself how to bake with Gluten Free flours and now my friends are amazed by the delicious gluten free treats I make. 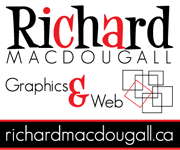 Also, there are more stores and better selection in Guelph, it seems to get better all the time! I also dropped 10 pounds of bloat and discomfort in the first 2 weeks, friends couldn't get over how good I looked! I was having a lot of problems with my belly bloating and thinking it was a weight issue I went to a naturapath for help. She put me on an elimination diet for 2 months and that was how I discovered my sensitivity to wheat, soy, mushrooms, and some beans amongst other things. That was about 3 1/2 years ago. I had a hard time at first because I am a vegetarian, and with practically no beans or soy I found it difficult to get my protein in. I eat eggs, cheese and dairy, as well as fish on occasion. I have found aduki (adzuki) beans that I can eat, and that makes things easier. My favourite foods are a shepherds pie made with the beans and sweet potatoes, pea soup, lots of soups in fact, I eat steamed fish once a week, with lots of veggies. I also make rice pasta and sauce once a week, and on occasion I make mac and cheese. I found a fish and chip shop at the corner of Broadview and Danforth called Off the Hook that offer Gluten-free fish and chips, not to mention onion rings. I buy Udi bagels and sometimes their cupcakes and muffins. I make my bread from a mix in my bread maker. I buy Vans waffles, and I discovered that Metro make their own brand of g-f cookies with cranberries in. 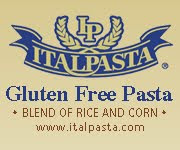 I love the gluten free Ontario site because I can share ideas and deals that I find, and get info of things I didn't know about. Another great site I use a lot is the glutenfreegoddess.blogspot.com There are some amazing recipes that are fairly easy and delish. I would love to try Astoria Mills, I haven't heard of it either. I am 15 years old and was in Nova Scotia last summer. I ate some mussels and had really bad tightness in my chest. I thought it was just my asthma, so didn't think anything of it, but then I ate them again later that summer and got the same reaction. We decided to make an appointment with the allergy clinic. My appointment was at the beginning of January, and I found out not only was I allergic to shellfish but 30 other things as well, including wheat. I have had really bad acne since 7th grade, and could never find the right products to clear it up. I had tried pretty much everything out there, and wen't to dermatologist and nothing was working. I went to the doctor and got cream from there and it still didn't work, so I was put on birth control. It did help a bit, but there was still a significant amount. It really put a damper on my self esteem seeing all the girls at school that had gone through that stage of acne and a lot of my friends had really clear skin, and I just couldn't get rid of mine. 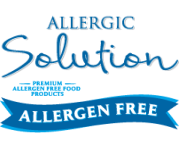 When I found out I was allergic to wheat, days after I switched to gluten free it started clearing my acne up. I do still have scars from it, but I am much more self confident about myself and how I look now, and I really see myself in a whole new light. Since then my mom has really taken it upon herself to help me become gluten-free. She's invested in pastas and mixes and even went out and bought a gluten free bread maker. She's taken me on hour long shopping trips to the various grocery stores and health food stores in town trying to find the different gluten free options that I actually like. She's tried every different recipe and mix with me, even if they don't look that appetizing. I can't believe the amount of patience and money that she has put into finding me foods that I like and can eat, and anything that will make it easier for her, like all of these free mixes, would be amazing. It's really hard being gluten free in high school where you come across so many different situations where you come across gluten. Before I found out I was allergic to wheat, I would buy lunch in the caff if I was running late that morning, or could go out for lunch without even thinking about it. Now I can't eat anything in our caff at school, and going out for lunch is really hard! It's hard to find a place to go out for lunch that everyone likes, and that I can find food that I can eat. I also can't support my school anymore in pizza days and bake sales because no one offers any gluten free options for me, or the other kids at my school that are gluten free. Most of my friends really don't understand wheat allergies and really have a tough time embracing the new diet I've had to take on. Whenever I go over to friends houses they really have a tough time finding me something that I can eat, and there is definitely frustration there. Even though I have only been gluten free for just over a month, I've found a lot of great foods out there! One of my favourite gluten free things is Glutino gluten free wafer cookie. I also found corn tortillas that are by Food for Life, and they are good for soft shelled tacos or enchiladas. I've used a lot of Bob's Red Mill mixes for pancakes, pizza crusts and lots of other things. Rizopia makes really good rice pastas. My mom and I have already made a cake too, as it was my little sisters birthday a week after I found out I was gluten free! When I found out I was gluten free I was really disappointed and didn't think I would be able to eat anything. But being allergic to wheat has really opened me up to lots of different foods and has gotten me eating better then I ever have. I wish to thank all who took the time to enter this contest. 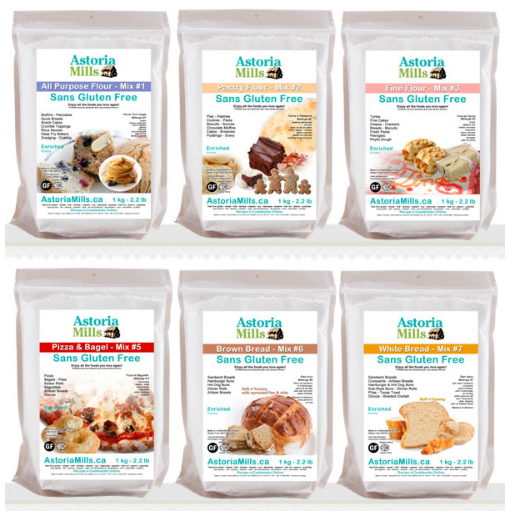 After reading all of your postings, I wish I could give you all a set of Astoria Mills gluten free mixes. But, I had to pick one winner and it is Sam. I chose Sam because having raised two teenagers myself, I can relate to how difficult it is to start a gluten free diet in those years. If I can make things easier for Sam, I'm sure you will all be glad for her. As an update, here we are in March and getting lots of good feedback from people who bought and enjoy how good Astoria Mills foods taste. 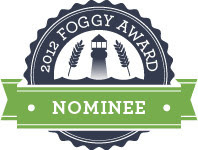 I'd like to thank Ontario and especially Jax for her review of Astoria Mills! I have just started to be gluten free since middle of april was very sick have fibromyalgia constant heartburn or acid reflux bloating and chronic fatigue too name a few issues. Happy to say that within 5 days of going gluten free my stomach issues started to subside and I lost 25 lbs in 5 weeks, I have less pain and and no heartburn and reflux anymore. I can now enjoy a glass of juice without suffering. In 2 short months these are just a few of the changes that I have experienced too bad my doctors never thought of trying this in all the years of suffering and taking medication. 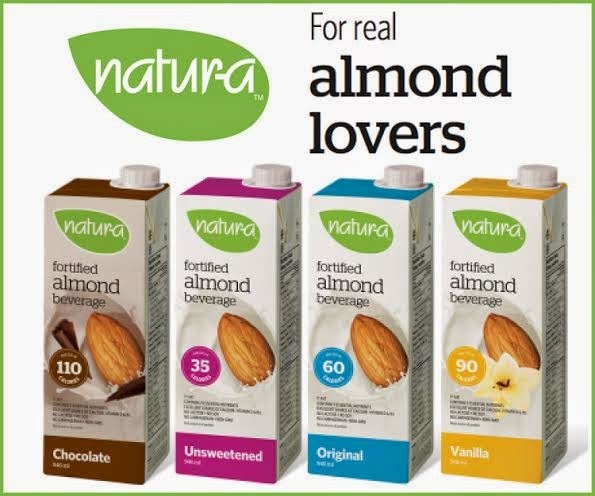 One of the best product lines I have tried is called Purest and they are packaged in Ontario. 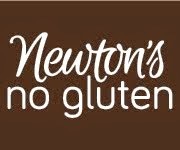 They now have a store and bakery in a town near where I live called Perth and have some wonderful products to offer The complete inventory is gluten free.